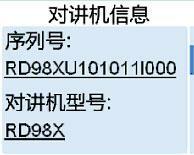 Download "811RD RD98X Hytera R4.0 中英文说明书&集群(简中英) 00 (RoHS)封面1"
3 Instructional Icons The following icons are available through this manual: Caution: indicates situations that could cause damage to your product. Note: indicates tips that can help you make better use of your product. * indicates functions available in later version. Term Explanation Duplexer Duplexer is a device that allows bi-directional communication. 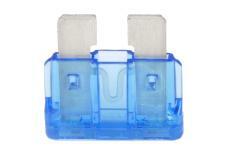 Its role is to isolate the TX signal from the RX signal to ensure that the transmitter and receiver can work normally. Feed Line Feed Line is the cable or transmission line that connects the antenna with the radio transmitter or receiver. 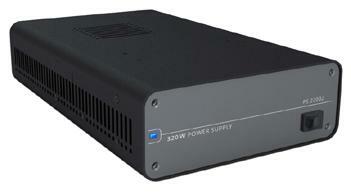 Voltage Standing Wave Ratio (VSWR) VSWR is a value that measures how well a load is impedance-matched to a source. Squelch Squelch is a circuit function that acts to suppress the audio output of a receiver in the absence of a sufficiently strong desired input signal. Copyright Information Hytera is the trademark or registered trademark of Hytera Communications Co., Ltd. (the Company) in PRC and/or other countries or areas. The Company retains the ownership of its trademarks and product names. All other trademarks and/or product names that may be used in this manual are properties of their respective owners. The product described in this manual may include the Company s computer programs stored in memory or other media. Laws in PRC and/or other countries or areas protect the exclusive rights of the Company with respect to its computer programs. The purchase of this product shall not be deemed to grant, either directly or by implication, any rights to the purchaser regarding the Company s computer programs. Any of the Company s computer programs may not be copied, modified, distributed, decompiled, or reverse-engineered in any manner without the prior written consent of the Company. 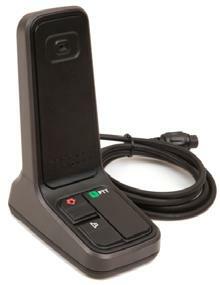 The AMBE+2TM voice coding technology embodied in this product is protected by intellectual property rights including patent rights, copyrights and trade secrets of Digital Voice Systems, Inc. This voice coding technology is licensed solely for use within this product. The user of this technology is explicitly prohibited from attempting to decompile, reverse engineer, or disassemble the Object Code or in any other way convert the Object Code into a human readable form. U.S. Patent Nos. #6,912,495 B2, #6,199,037 B1, #5,870,405, #5,826,222, #5,754,974, #5,701,390, #5,715,365, #5,649,050, #5,630,011, #5,581,656, #5,517,511, #5,491,772, #5,247,579, #5,226,084 and #5,195,166. Disclaimer The Company endeavors to achieve the accuracy and completeness of this manual, but no warranty of accuracy or reliability is given. All the specifications and designs are subject to change without notice due to continuous technology development. No part of this manual may be copied, modified, translated, or distributed in any manner without the express written permission of us. If you have any suggestions or would like to learn more details, please visit our website at: com. RF Radiation Information RF Radiation Profile Radio Frequency (RF) is a frequency of electromagnetic radiation in the range at which radio signals are transmitted. RF technology is widely used in communication, medicine, food processing and other fields. It may generate radiation during use. RF Radiation Safety In order to ensure user health, experts from relevant industries including science, engineering, medicine and health work with international organizations to develop standards for safe exposure to RF radiation. These standards consist of: United States Federal Communications Commission, Code of Federal Regulations; 47CFR part 2 sub-part J; American National Standards Institute (ANSI)/ Institute of Electrical and Electronic Engineers (IEEE) C ; Institute of Electrical and Electronic Engineers (IEEE) C ; International Commission on Non-Ionizing Radiation Protection (ICNIRP) 1998; FCC Regulations Federal Communication Commission (FCC) requires that all radio communication products should meet the requirements set forth in the above standards before they can be marketed in the U.S, and the manufacturer shall post a RF label on the product to inform users of operational instructions, so as to enhance their occupational health against exposure to RF energy. 4 Operational Instructions and Training Guidelines To ensure optimal performance and compliance with the occupational/controlled environment RF energy exposure limits in the above standards and guidelines, users should always adhere to the followings: Gain of antenna must not exceed 6.5dBi. Antenna Installation: install the antenna at least 3.5 meters away from your body, in accordance with the requirements of the antenna manufacturer/supplier. EU Regulatory Conformance As certified by the qualified laboratory, the product is in compliance with the essential requirements and other relevant provisions of the Directive 1999/5/EC. Please note that the above information is applicable to EU countries only. 7 Installation Guide Proper installation can ensure optimum performance and reliability of the repeater. Therefore, be sure to read the following instructions before installation. Installation Requirements Installation Environment The repeater must be installed in a dry and wellventilated place with ambient temperature of -30 ~+60 and relative humidity of less than 95%. 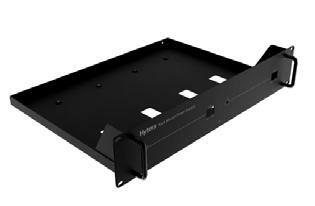 Installation Location The repeater can be installed in a rack, bracket, cabinet or on a desk. Installation Tools Tools required for installing the repeater include a cross head screwdriver, a torx screwdriver and a spanner. Note: Please refer to Safety Information Booklet for more information. Before Installation Voltage Check Please check whether the voltage of DC power or battery meets the repeater specifications. Product Check Please check whether the repeater works properly by observing the 8 LEDs located in the front panel. Parameter Configuration When the repeater proves to work normally, configure appropriate parameters according to your actual requirements. And then you can proceed with on-site installation. Installation Steps 3 Install the repeater as follows: 1. Install the repeater at a proper location; 2. Attach all necessary accessories; 3. Ground the repeater through the Ground Screw located on the rear panel. Installing the Duplexer If the repeater needs to work with a duplexer, you should implement the following operations before installation. 1. Loosen the three screws on the bracket with a cross head screwdriver. See the figure below. 2. Install the duplexer onto the bracket. 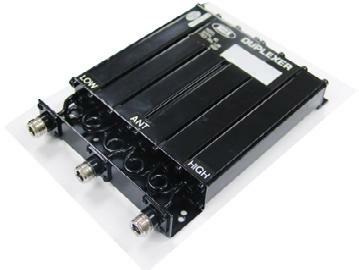 Be sure to observe the specifications of two antenna connectors on the duplexer, to determine which one should be connected to the transmitter. The connector connecting the transmitter should be close to the PA module to reduce RF loss, as shown below: 3. Loosen the screw at the back of the top cover, and then pull the top cover to remove it. 4. Loosen the 6 screws locking the PA heat sink, remove all power, data and RF cables from the PA, and finally remove the PA heat sink. See the figure below. 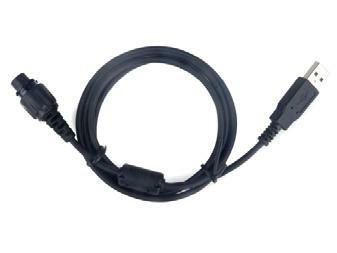 Power Cord Data Cable RF Cable 5. Connect the RF cable. See the figure below. 6. Install the duplexer to the repeater. After the duplexer is mounted properly, fasten it with the 2 screws inside the housing and on the side respectively. 7. Then attach the PA heat sink and connect all cables. 8. Close the repeater cover. 11 3. Check if connection between the transmitter and RF cable or antenna feed line is loose or damaged. Poor connection between them could cause high TX power, which would make the temperature of the heat sink rise quickly. 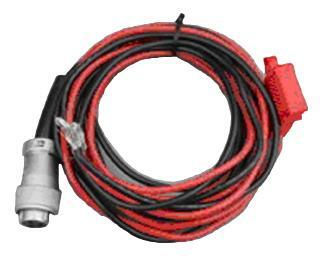 If yes, secure or replace the cable or antenna feed line. 4. If the above measures fail to solve the problem, contact your local dealer for technical support. When temperature falls into normal range, the prompt message will disappear, and the Alarm Indicator will go out. Fan Failure Alarm When the fan fails to work, the Alarm Indicator will glow red and the LCD will display the prompt message below: Then the repeater will automatically work at low TX power, to protect the transmitter from overheating. You need to: 1. Check whether the fan is blocked by a foreign object. If yes, remove it. 2. If you cannot solve the problem, contact your local dealer for technical support. 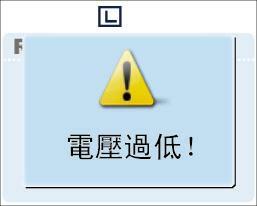 When the fan recovers normal operation, the prompt message will disappear, and the Alarm Indicator will go out. VSWR Alarm High VSWR (voltage standing wave ratio) of TX antenna connector could result in damage to the PA, and even failure of the transmitter. When the VSWR exceeds the normal range, the Alarm Indicator will glow red and the 7 LCD will display the prompt message below: Then the repeater will automatically works at low TX power. You need to: 1. 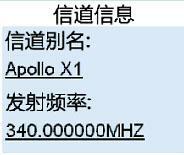 Check if the operating frequency of the repeater is in line with that of the antenna. Both frequency mismatch and improper antenna could result in poor transmitting performance and even damage to the transmitter. If yes, please contact your local dealer to replace the antenna or reprogram your product. 2. Check if the connection between the transmitter and RF cable or antenna feed line is loose or damaged. 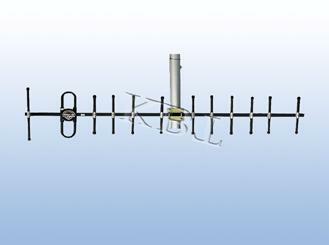 If yes, secure or replace the cable or antenna feed line. 3. If you cannot solve the problem, contact your local dealer for technical support. When the VSWR falls within the normal range, the prompt message will disappear, and the Alarm Indicator will go out. Low Forward Power Alarm When the forward power is below the preset value, the Alarm Indicator will glow red and the LCD will display the prompt message below: Then the repeater may continue transmission or terminate it, subject to the detection result. You need to: 1. Check if the connection between the transmitter and RF cable or antenna feed line is loose or damaged. 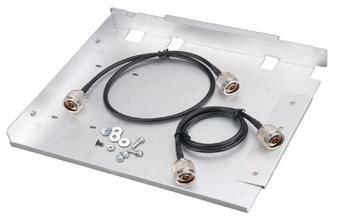 If yes, secure or replace the cable or antenna feed line. 2. If you cannot solve the problem, contact your local dealer for technical support. When the forward power is recovered to its normal value, the prompt message will disappear, and the Alarm Indicator will go out. Over/Low Voltage Alarm When power voltage is detected to be over or below the range (11V-15.6V) of repeater, the Alarm Indicator will glow red and the LCD will display the prompt message below: Low Voltage Alarm Over Voltage Alarm Then the repeater will automatically stop working. You need to: 1. Check whether the power voltage is too low or too high. If yes, replace the DC power supply or external battery. 2. Check whether the power cord is loose or damaged. 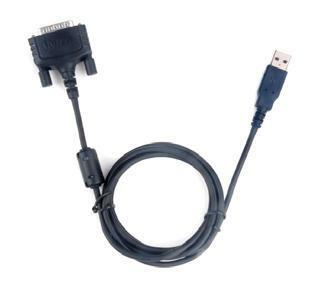 If yes, secure or replace the cord. 3. If you cannot solve the problem, contact your local dealer for technical support. When the voltage falls within the normal range, the prompt message will disappear, and the Alarm Indicator will go out.